Since my SSL cert was nearing expiration, I thought it would be a good idea to give Let’s Encrypt (free SSL certs!) a try. Let’s Encrypt has a helper app called certbot that will configure Apache for you automatically. The really nice thing about certbot is that it will also (via crontab) renew your cert and configure Apache to use the new cert. This is useful, since Let’s Encrypt certs expire every 90 days. To use certbot effectively, you need an Apache configuration that’s setup the way your distro expects. Mine was not (I hand ported the configs from Ubuntu), so I figured it was a good time to reinstall Apache with the default configs, then run certbot (official instructions here: https://certbot.eff.org/ ). This initially seemed to work great, but I quickly noticed all of my subpages returned 404 errors. WordPress works best when you allow it to configure a .htaccess file to do URL rewrites. Allowing URL rewrites via .htaccess requires some additional configuration in your ssl.conf file. Add the following just before </VirtualHost> at the very end of your config. This took a couple days of Binging and hacking, but I finally got WordPress to auto-update on Centos 7 with SSL and without disabling SELinux. Update 1: I should note, this is for self-hosted WordPress users. WordPress 4.4 requires FTP access to the server in order to update its self. To keep things secure, I’ve setup vsftpd with chroots (to prevent ftp accounts from going outside of where they should be) and SSL. The rest should be added to the bottom of the config file. I’m assuming you already have an SSL cert you are using for your website. 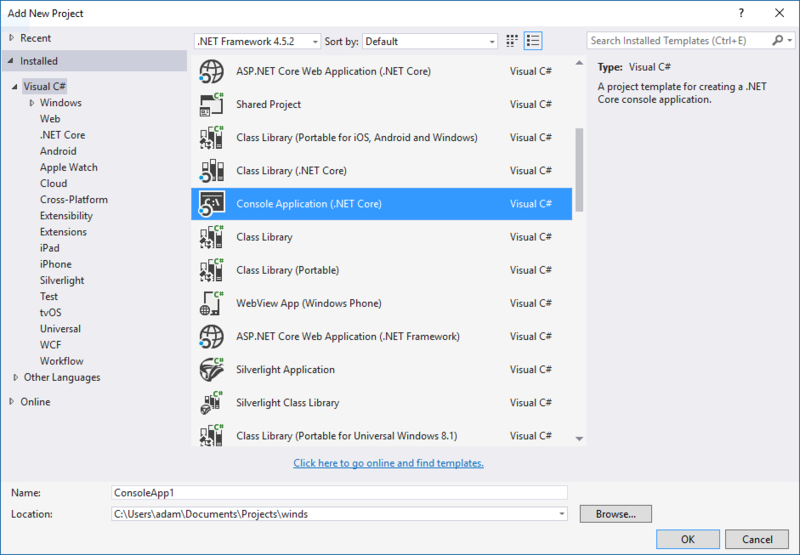 You can use this cert for vsftpd as well. Next, create a user that will be used for FTP. It’s important to set the home directory with the “-d” option to where your website files are. I’m assuming the default /var/www/html. Set a password for the user. Make sure to choose something secure! To the best of my knowledge, these are the SELinux commands necessary for both the vsftpd as well as for Apache to FTP into the server and update itself. and make sure you get a directory listing. If not, you’ll need to use the debug data printed to troubleshoot further (I sure did, I hope you won’t). Finally, log into WordPress and try to update something simple, like a theme or plugin. It should work! A quick reminder to myself (and you if you’ve come across my little site) to change SELinux file ACLs when uploading new files to be served by Apache (httpd) on Centos. Yesterday I linked to some Radeon drivers in my http://www.shernet.com/windows/ati-radeon-mobility-x1400-on-windows-10/ post. However, the linked zip file was showing ‘Access Denied’ errors, despite the correct filesystem permissions. I had forgotten to also mark the file as something httpd should have access to on Centos as far as SELinux was concerned. I have some Linux servers that I’d like to talk to my Windows Server 2012R2 file server. Since I’d like daemons, rather than users, to be able to communicate with the server, I thought this would be a good candidate for NFS. Install the daemons that will access the file server. Most of these will create their own users. Create any additional users you would like to be able to access the file server. You can always add more later. To save some complexity (and not assume you pay for Active Directory), I’m not going to have my file server look up Linux IDs via Active Directory. Instead, I’m going to use flat passwd and group files, just like Linux. Copy (via SSH, USB, copy/paste, whatever) the passwd and group files from /etc/ over to your Windows server. You can delete all of the entries for users/groups that will not be accessing the share. Create users (and groups) on your server with the same user name / group name as you created on your Linux server. UPDATE: Make sure you set the Windows users to never have their passwords expire if they are service accounts. If they do, the users will lose access to the shares via NFS when the password expires. The passwd and group files serve as a map between the user/group IDs in Linux and the user/group names in Windows. 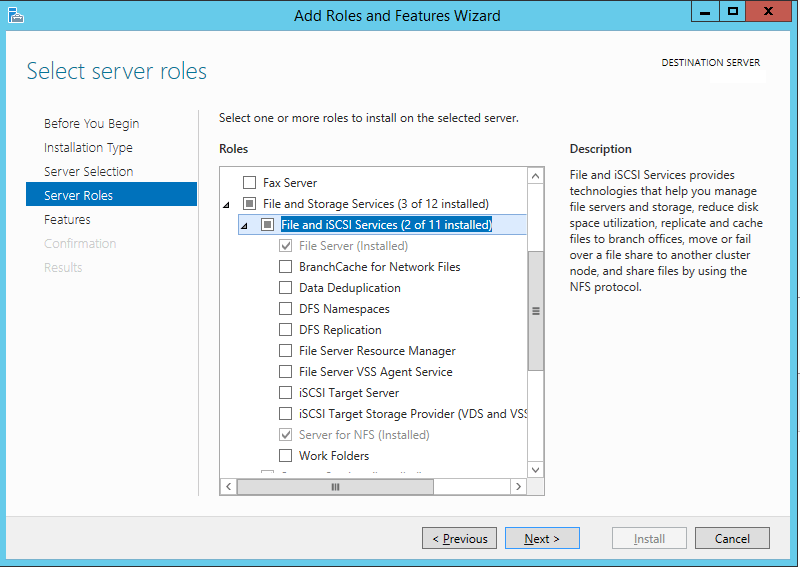 Install Server for NFS on the Windows server. Browse to the folder on your file server you are looking to share. Check the “Share this folder” check box. The only other change I make here is to uncheck the “Enable unmapped user access” option so that only users in the passwd file we copied over will have access to the server. I like to set “All Machines” to be no access, that way only the servers I specify will be able to mount the share. In the “Add Names:” box, enter the IP address of your Linux server. Make sure Type of Access is set to the type you are looking for. I prefer to leave “Allow root access” unchecked for a bit more security. Using the security tab, assign NTFS permission to the folder for the users you would like to be able to read/write to that folder, just as you would if it were an SMB share. Many Linux daemons will use the same id for both the user and group. Some, like tvheadend, will use different group and user IDs. 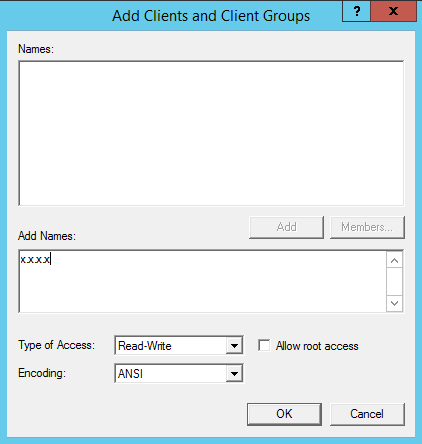 For these, it’s critical to setup a group with the same name (and with the user as a member) in Windows and assign permissions to the group as well the user. Otherwise, you will get permission denied errors. Install the NFS client and enable (make start on boot) and start the services. Create a folder that will be used as the mount point for the file server, aka: Where do I go to get to the files on the file server. I was really hoping to find a definitive “this is where to mount nfs shares” article, but some Binging around came up with nothing. I will therefore advise you create a folder under /mnt, as that feels right to me. It’s finally time to give the share a test. The final step is to have the server automatically mount the share on boot. When you reboot, the share should be mounted and all is good in the world! PS: If you are using this for transmission-daemon (which I’m assuming you’re using for legitimate purposes), make sure you edit your settings.json file and set umask=0, otherwise transmission will create folders that it cannot create files in.